Want to get a flat tummy? Want to get defined abs? Waist trainer is the answer: it the most convenient and, let me say it, a fairly quicker way of getting rid of that pudginess you despise so much. Celebrities with dreamy bodies like that of Kim Kardashian and Jessica Alba swear by it. As much as we hate this part but with good come bad and so today, I bring you not just the unimaginable benefits waist trainers have but also the cons it has attached to it. Waist trainers bring our dream bodies a little closer to reality. It allows women to rock the perfectly proportionate also know as hourglass, glorious body type. The waist trainer cinches in on the waist which makes the bust and booty look just like in movies. 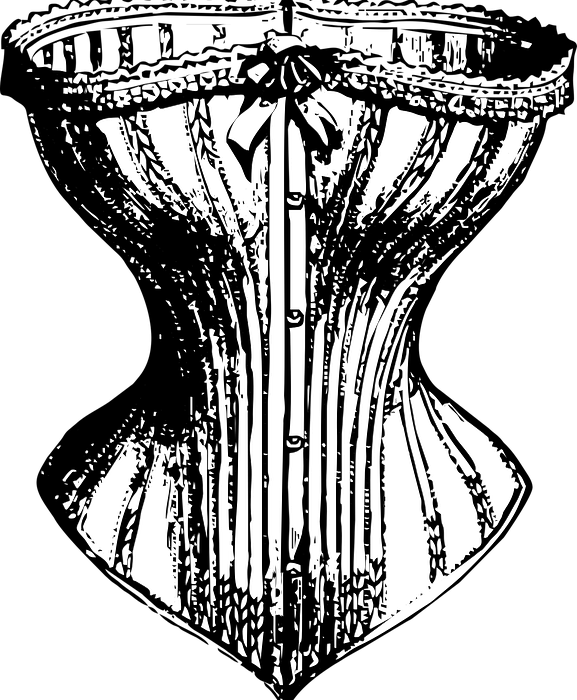 Waist training when done consistently and correctly, women tends to see results sooner than they’d ever expect. Haven’t we all grown up with our mums nagging us about sitting straight with our shoulders back? Yes, we all hated it but now we can only envy the sophistication which comes with sitting with the right posture. Waist training, besides doing the obvious of cinching your waist and giving you that hourglass body, it also provides you with the right posture. With the tightness waist trainers provide, you have no choice but to sit straight. Doing few hours of it each day will, inevitably, get you in the habit of sitting and in fact standing and walking with a straight posture. Straight posture doesn’t just make you look 10 pounds lighter but also provides you with that extra oomph to slay all day long! It is a struggle to control your portions to get in good shape. Waist trainers can definitely help you with it! As of the stiffness it provides, even if you want to eat more you won’t be able to. With waist trainers, it’s a challenge to consume large portions which will aid your weight loss journey. This one’s a given. Waist trainers can do wonders but at the cost of your comfort. Make sure you don’t wear it too tight as that can cause bruising, downward pressure and can cause real harm to your body. Not just that, it can also result in shallow breathing. With the tightness comes with, it effects your diaphragm. This results in a reduction in breathing capacity. Lack of oxygen can result in dangerous symptoms of getting light-headed or even fainting. As tempting as waist training seems, it is important to do it for not too long. Wearing a waist trainer for long hours can put immense pressure on your bones which in turn can change their shapes. This change will not just be painful in the short run but might turn into serious problems in the long run as well. Waist trainer will keep you from consuming large portions but it comes with a cost. It makes digestion more like a struggle for your body. With the insane pressure, it puts on your abdominal region it can potentially harm organs significantly like that of your intestines, esophagus, and stomach.